Hozelock Pressure Regulator - Reduces tap pressure to a constant 20psi (1.5 bar). 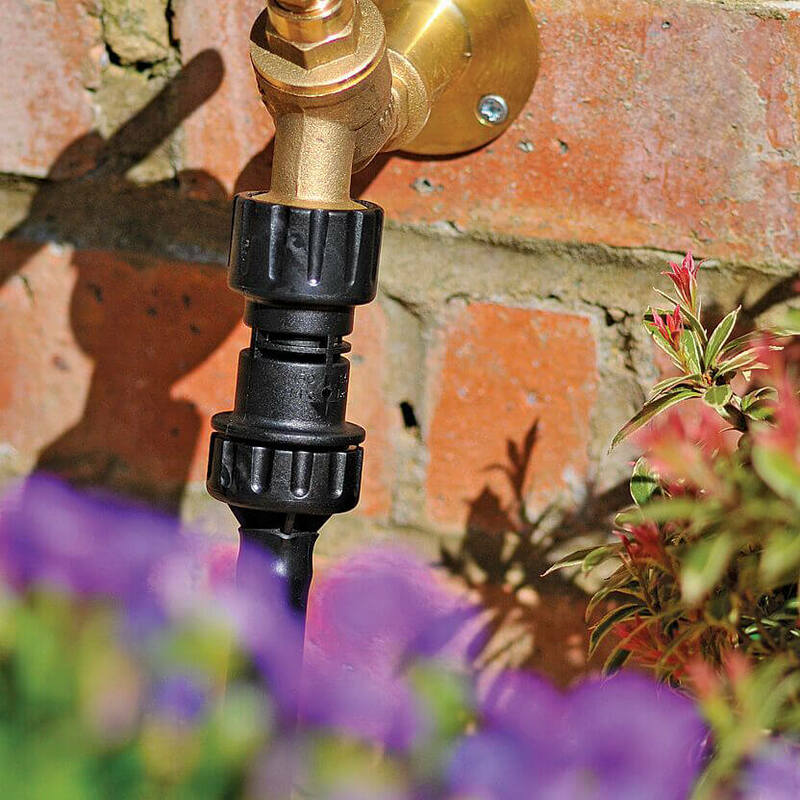 The pressure reducer is the connection between the tap and your watering system. It can also be screwed directly onto a Hozelock water timer. Hozelock Pressure Regulator - Reduces tap pressure to a constant 20psi (1.5 bar) for an automatic watering system. Supplied with 13mm and 4mm outlets. Where the area to be watered is a fair distance away from the tap the pressure regulator should be situated near the area to be watered. This is to ensure that water pressure is not lost. 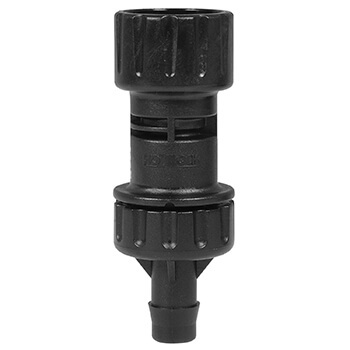 To do this the pressure regulator can be connected to a length of standard hose by using a Hozelock hose end connector (2185) and an accessory adaptor (2289) to screw into the pressure regulator.